Three jobs people used to do . . .
one of which has refused to collapse in the face of technology. 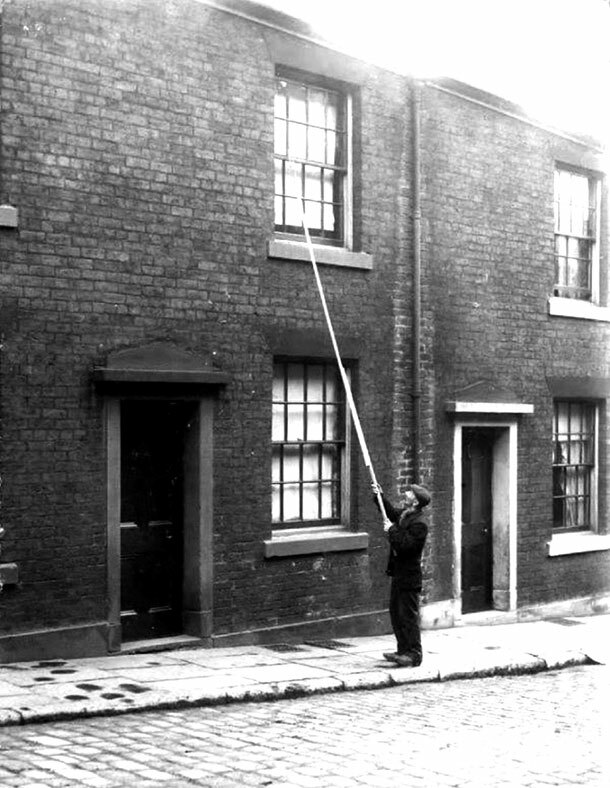 A knocker up rapping on an upper window. 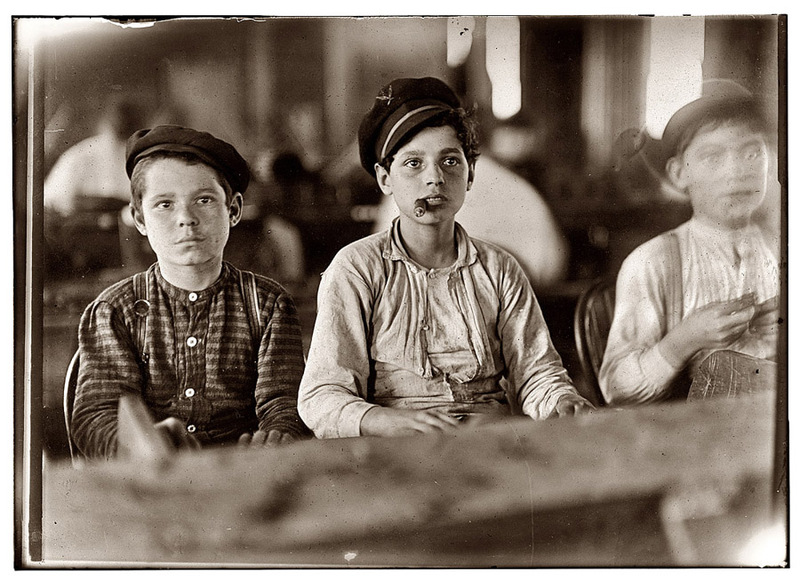 The industrial revolution and subsequent spread of the time clock created an intolerance of a lackadaisical workforce. This was problematic for the turn of the century laborer who generally did not have a timepiece. 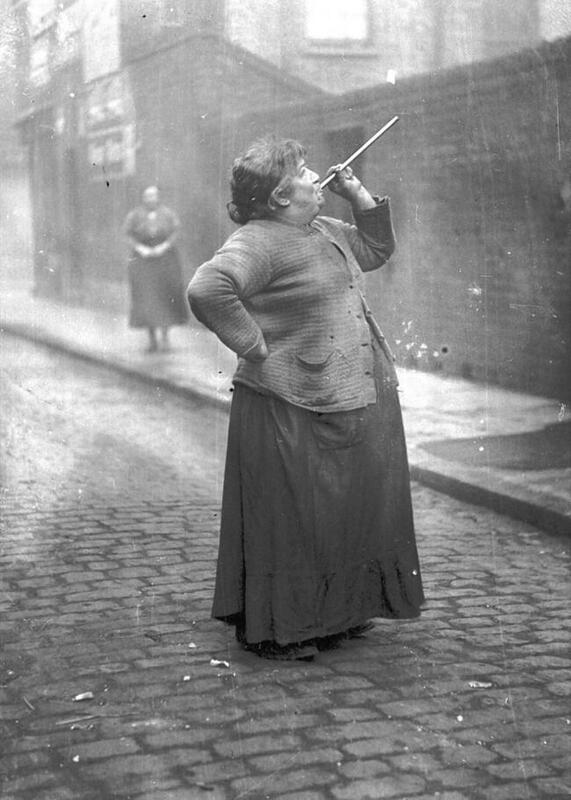 A knocker up or knocker upper walked through the industrial areas in England rapping on windows or doors to rouse those paying for the service. 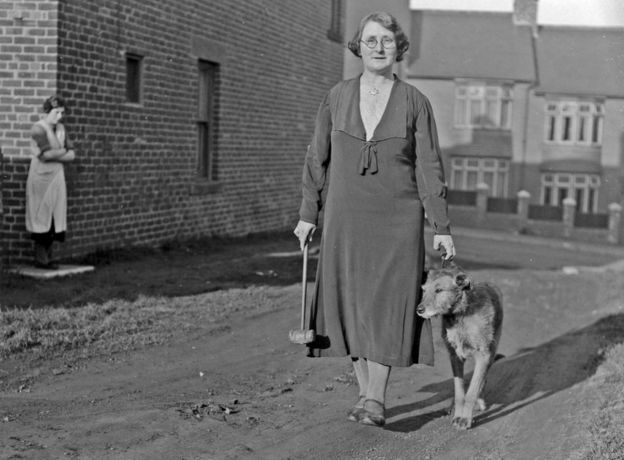 walking with her dog while carrying her knocker up mallet. Knocking up died out by the 1950s. In Havana, starting in the mid-1800's, cigar rollers who were adept at reading out loud, would take turns reading newspapers or literature from the factory floor. 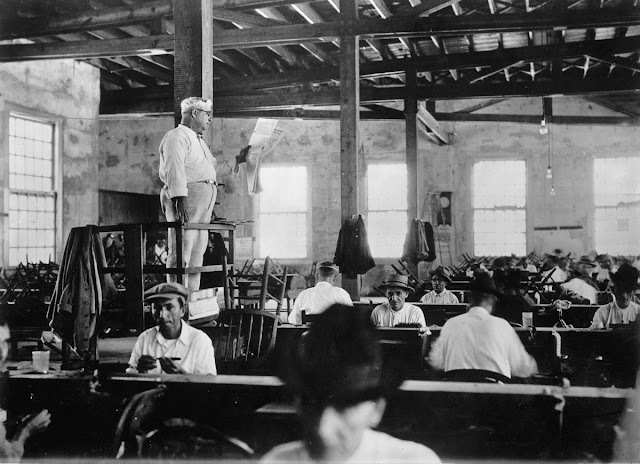 Cigar lectors became extremely popular and spread to other cigar factories including to factories in Puerto Rico and Florida. Workers pooled funds to hire lectors. 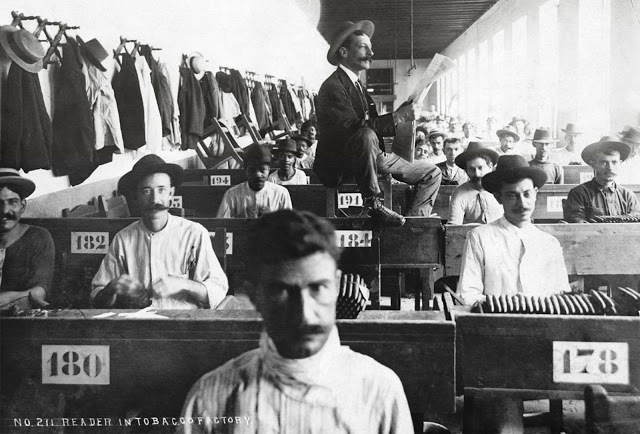 In some factories, they would elect a lector committee which auditioned readers, negotiated payment and suggested reading materials. Lectors who could translate English and Spanish, as well as those who were adept at playing characters, were in high demand. 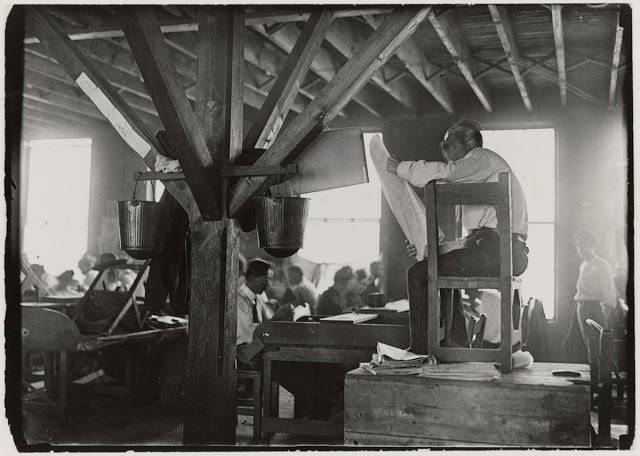 in an era of low literacy and monotonous employment, a co-op of workers combined funds to improve working conditions and find out what was going on in the world . . .
which you know this is going to lead to nothing good. Employers became concerned. In an attempt to prevent their workforce from being introduced to ideas like class warfare and economic equality, they began to censor what was read. The workforce retaliated with slowdowns and employers, in turn, banned lectors. Contention escalated to strikes, assaults, and incarcerations. 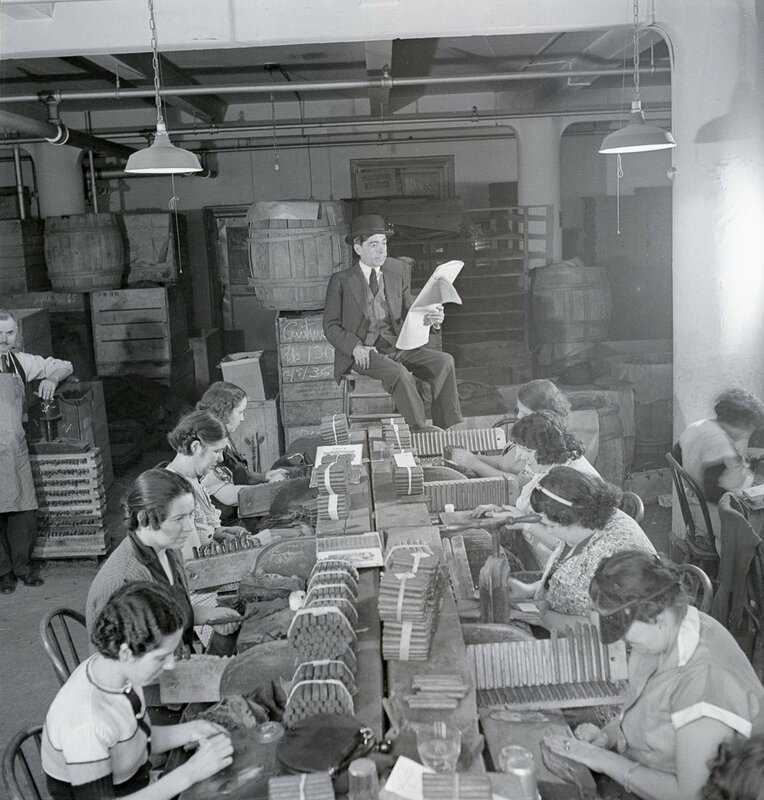 Female cigar rollers listen to the daily news. However, a death in 1903, resulted when two Tampa rollers arguing over a proposed novel. 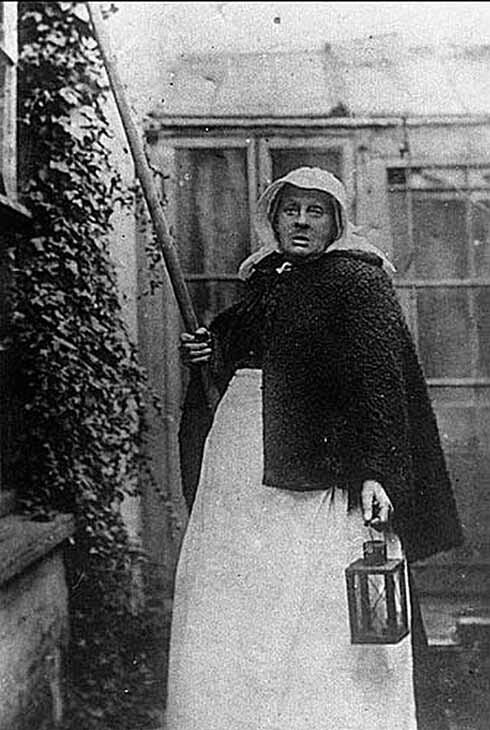 One felt the content was pornographic, particularly to the newly introduced female workforce. "This is the only job in Cuba that is democratically decided." 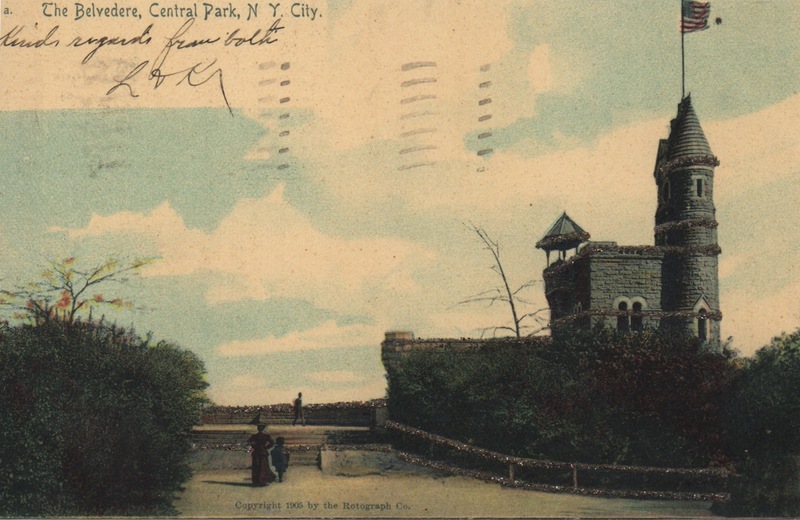 Eventually, literacy increased and radios were invented so leftist information (as well as titillating literature) could be explored outside work hours. 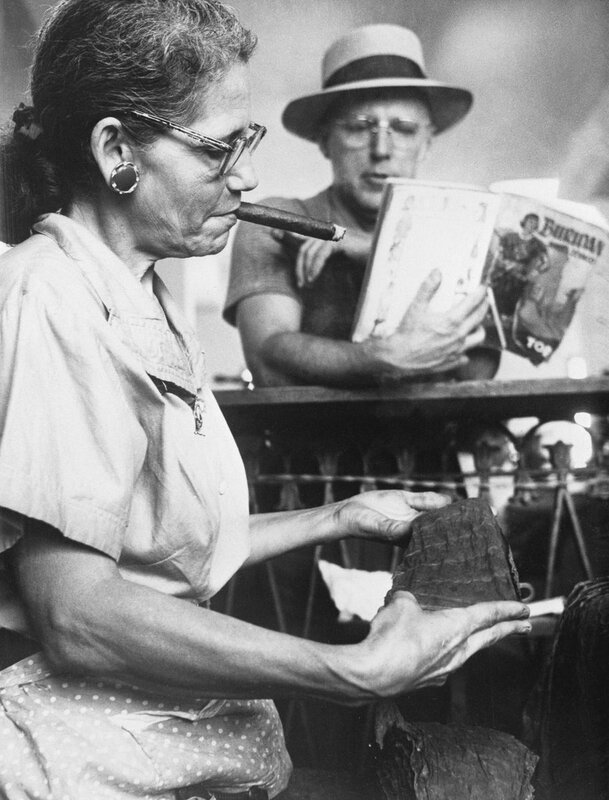 Nevertheless, there are still 200 cigar lectors in Cuba. 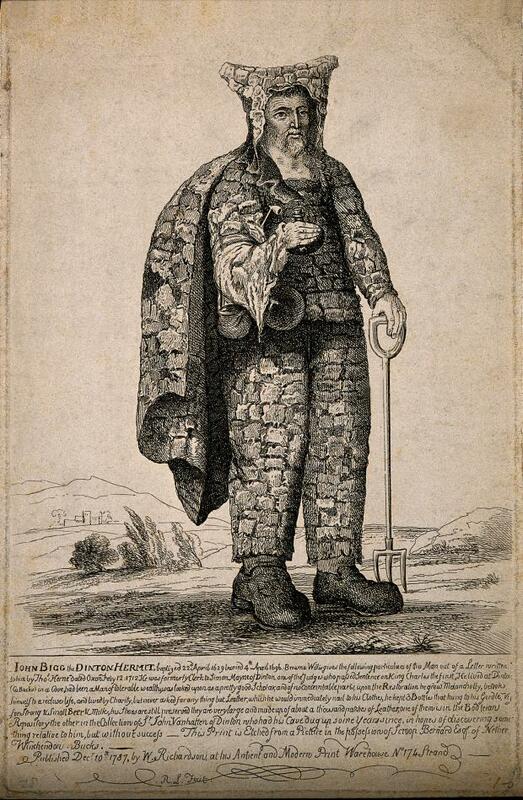 an actual Hermit of some notoriety. 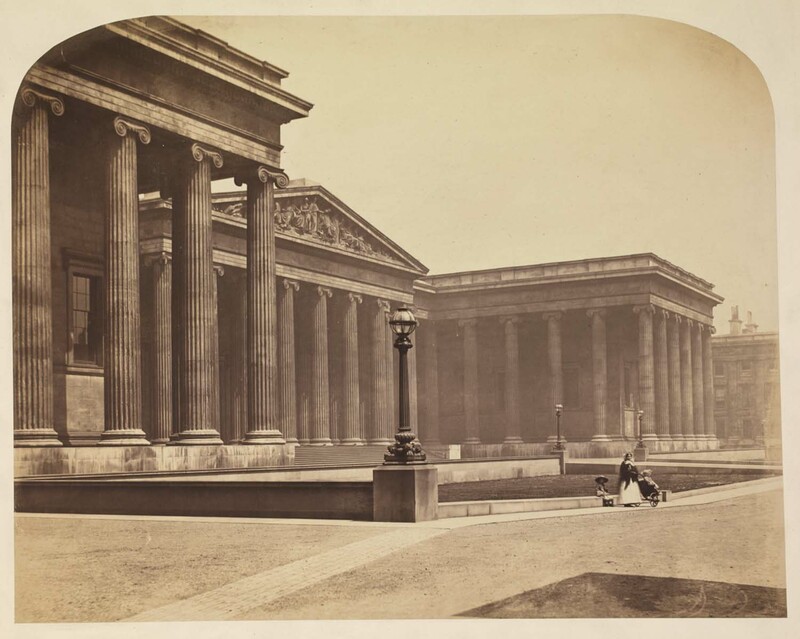 Victorians were wild for revisionist historic revivals. 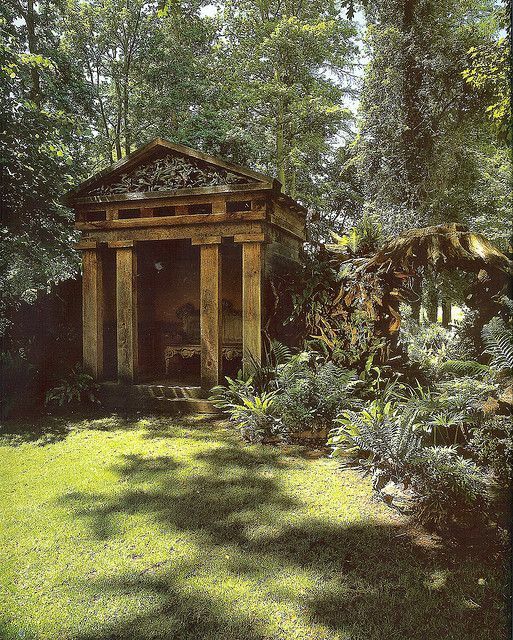 During the Greek Revival, to capture some of that Hellenistic magic, wealthy estate owners built follies . . .
the Lincolnshire seat of the Pelham family. "Surely a hermit who takes a newspaper is not a hermit in whom one can have complete confidence." The ultra-ostentatious estate owners went through additional steps and hired an ornamental hermit to live on the estate. Basically, some guy would dress in hermit-ish clothes and hang out, interacting with or ignoring guests, as the job dictated. 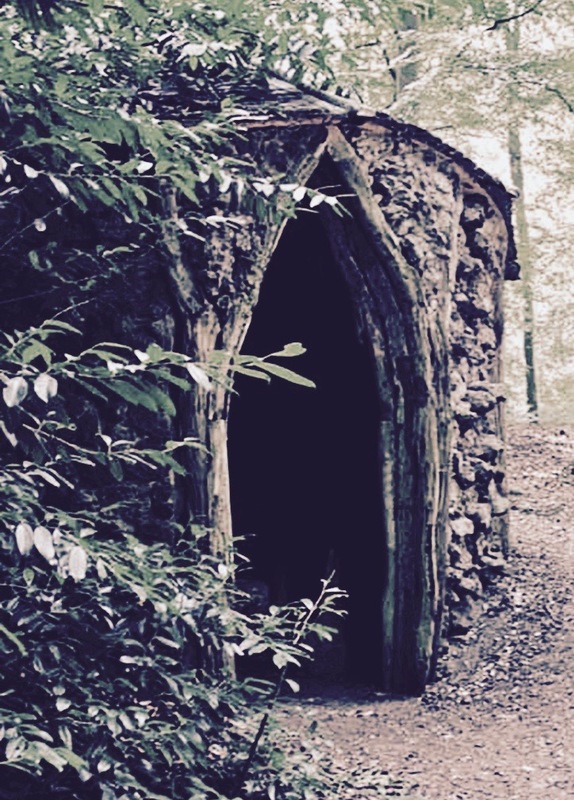 In the mid-1700's, Reverend Henry White was a hermit for his brother Gilbert. The White Brothers, both naturalists, offered estate guests the faux hermit experience and became a desirable invitation. 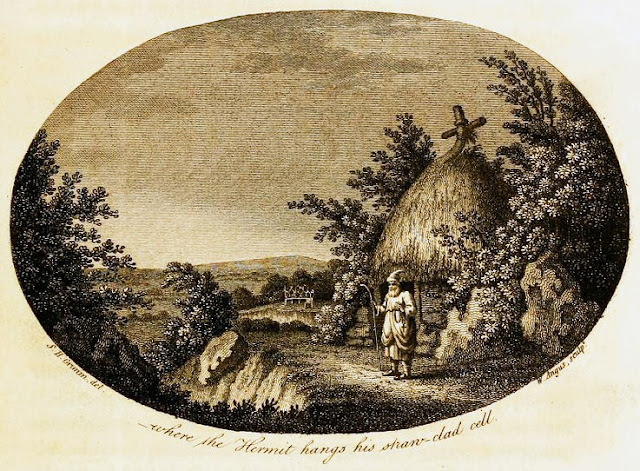 Ultimately, it was decided that placing hermit-ey items around the folly, indicating a hermit in residence without an actual hermit in residence, was just as alluring.